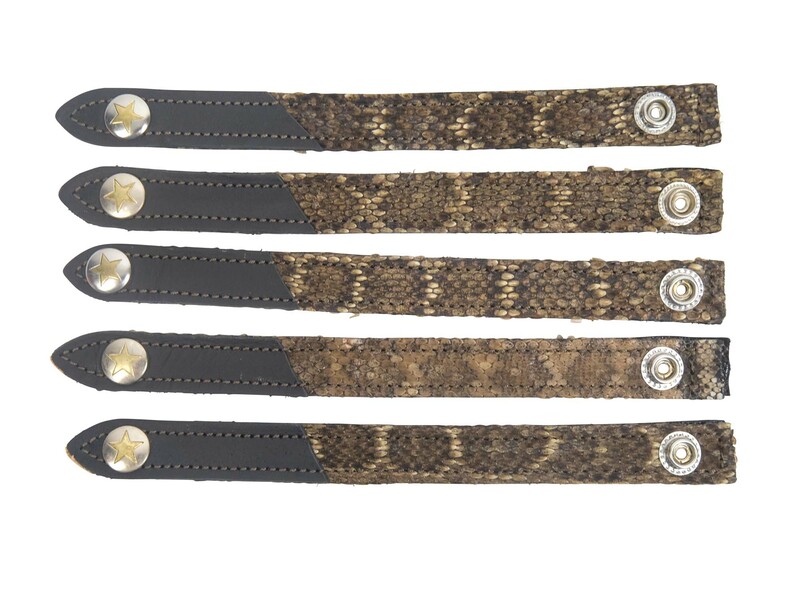 These wrist bands are made with real rattlesnake skin from Texas Western Diamondback Rattlesnakes. Currently, we have sizes: 8" by 1.25", 9" by 1.25", and 10" by 1.25". 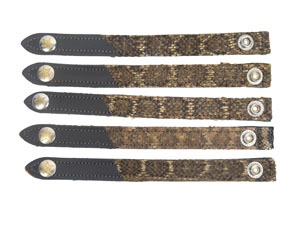 Another style is made with Texas Western Diamondback Rattlesnakes and black leather. It is 8.5" by 0.75" and weighs 15 grams.